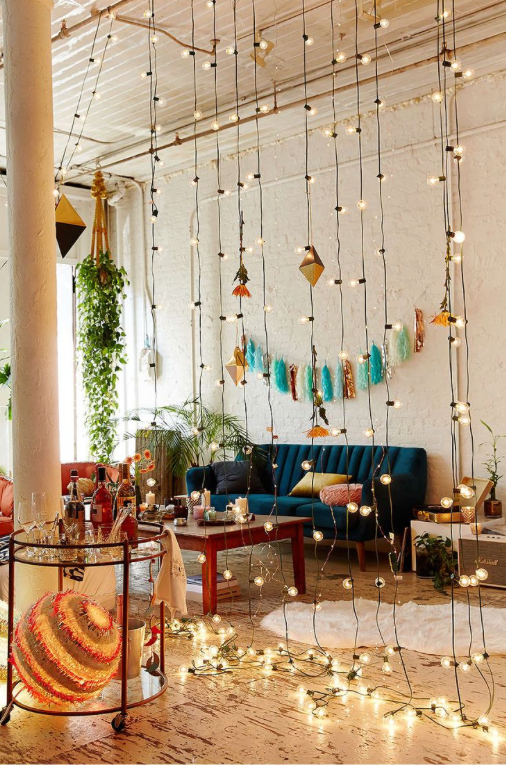 Home > Holidays > 2019 Christmas Food, Decor & Craft Ideas > 20 Fabulous String Light Decorating Ideas to Make Your Home Sparkle! We’ve rounded up 20 different indoor Christmas lights decorating ideas to help you make your home look twinkly and spectacular this Holiday season! When it comes to decorating with string lights do you struggle to do anything other than hang them on your Christmas tree? I do, but I love the thought of using them elsewhere in my house so I’ve been searching high and low for fairy light inspiration. I found 20 different indoor Christmas lights decorating ideas to help us both make our homes look twinkly and spectacular this Holiday season! Of course since we’re not just decorating the tree we can actually leave our sparkly lights up all year round! If you don’t have room for a full sized tree this now looks absolutely stunning and takes up less space. 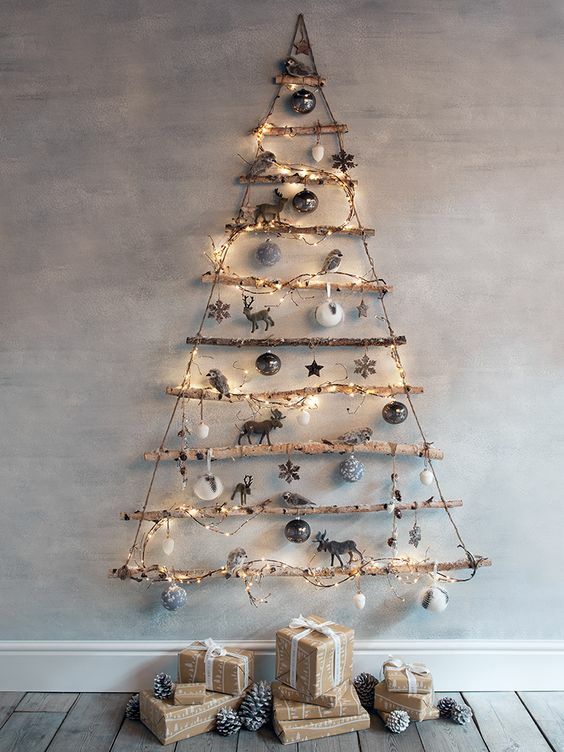 Simply combine pretty string lights with scavenged twigs, hang from the wall using Command Strips and then decorate! Here’s another idea for rooms where there’s no space for a Christmas Tree; give your plants a Christmas Tree makeover instead! 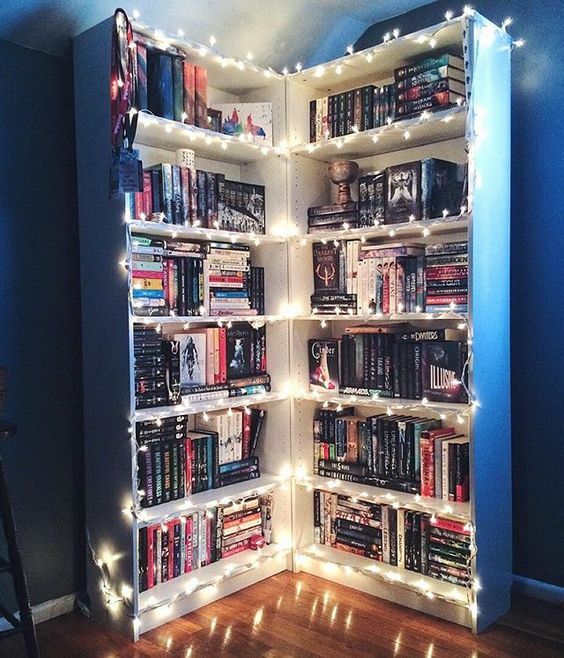 If your bookshelves are a focal point in your room you can dress them up for the festive season with strings of Christmas lights. This gorgeous mantel display uses chunky lights like these and a can of spray paint to create gold Christmas lights! Whether you’re looking for decorations for your mantel piece or a centrepiece for your dining table you cannot go wrong with these gorgeous apothecary jars. 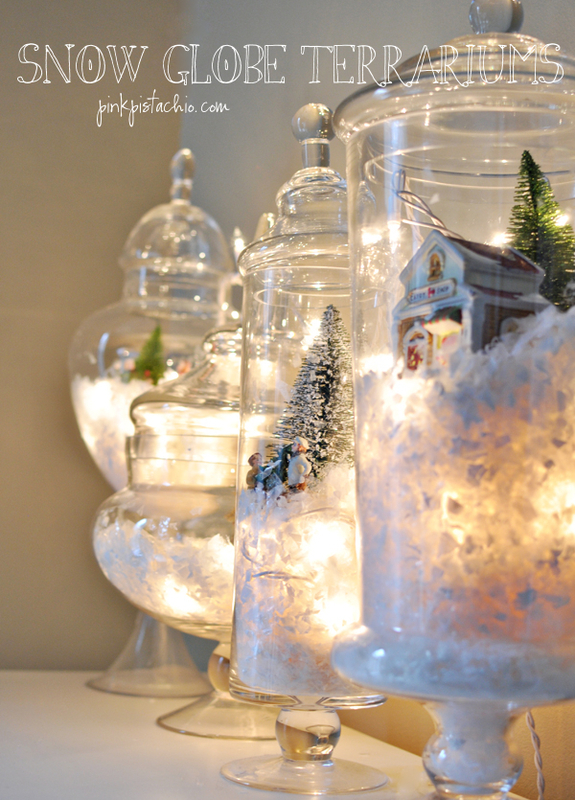 They’re filled with snow and twinkly lights and small ornaments to turn them into winter wonderlands! 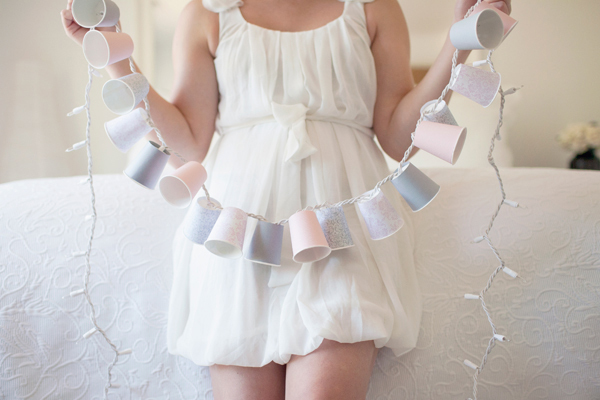 For something a little more unusual this Christmas make some shades for your string lights using Holiday themed paper cups! They’ll look fabulous strung up across the mantel piece. If you’re tired of placing your Christmas cards on bookshelves and having them topple over try this instead. Choose a wall and hang several strings of Christmas tree lights, and then use clothespins to hang up your Christmas Cards. 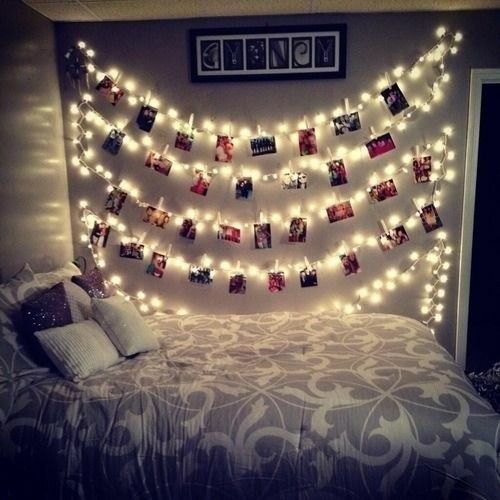 If you like the look switch the cards for photos in January and have a year round feature wall! 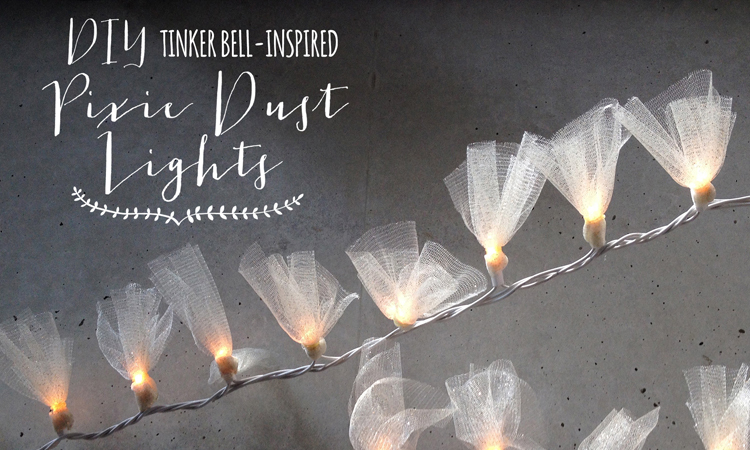 If you have a Tinkerbell fan in your family you won’t want to miss this tutorial video that shows you how to make these addorable pixie dust lights! 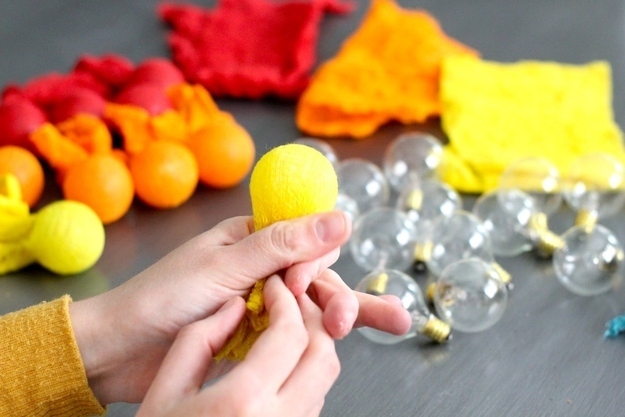 Pick out some cheesecloth in colours to match your Christmas decor and with a little bit of Modge Podge you can turn your globe lights into something quite spectacular! 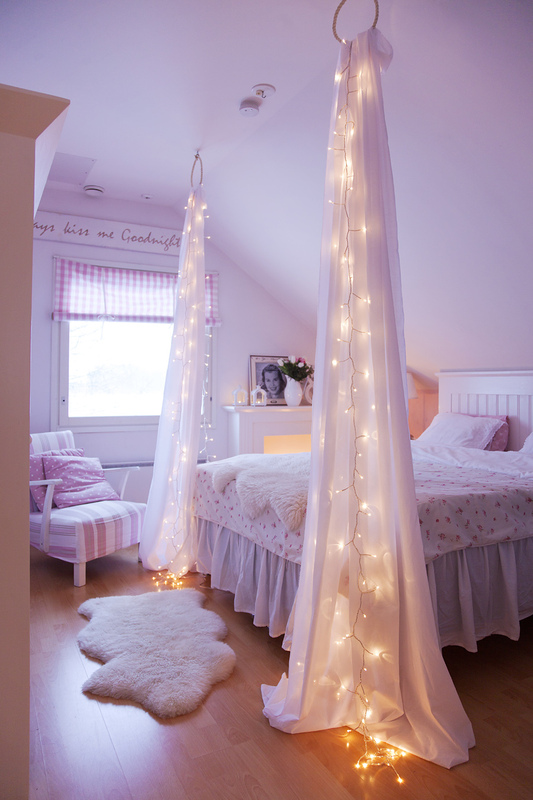 Bring some Christmas sparkle into your bedroom simply by draping a string of LED lights behind your bed canopy. 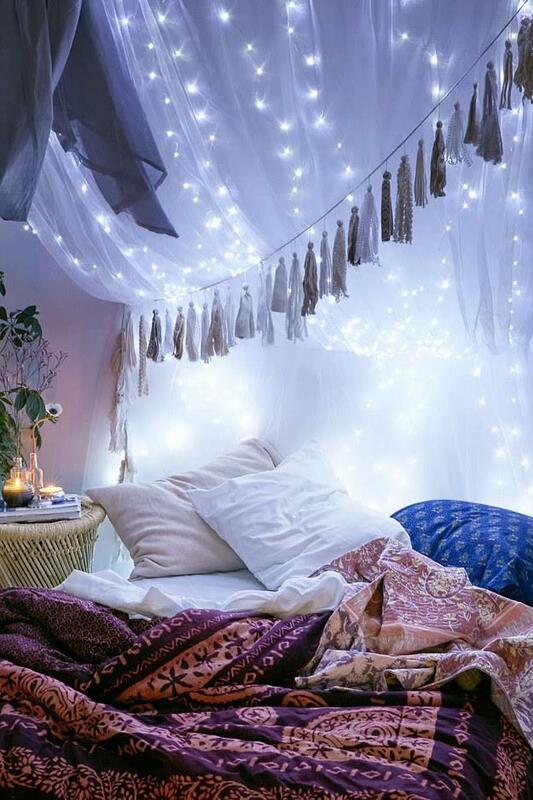 Lighted canopies don’t have to go behind your bed, this alternative use of draped fabric and string lights looks beautiful. 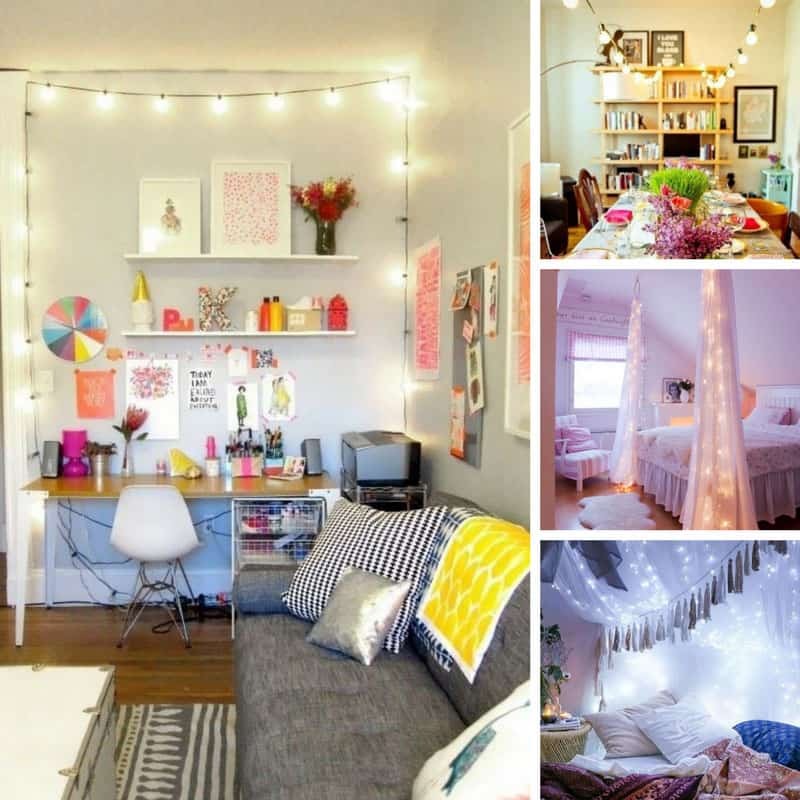 If you don’t have a bed canopy but you’d still like to add some sparkle to your bedroom try this DIY project. You’ll need some string lights, mirror garland, a curtain rod and some hooks. 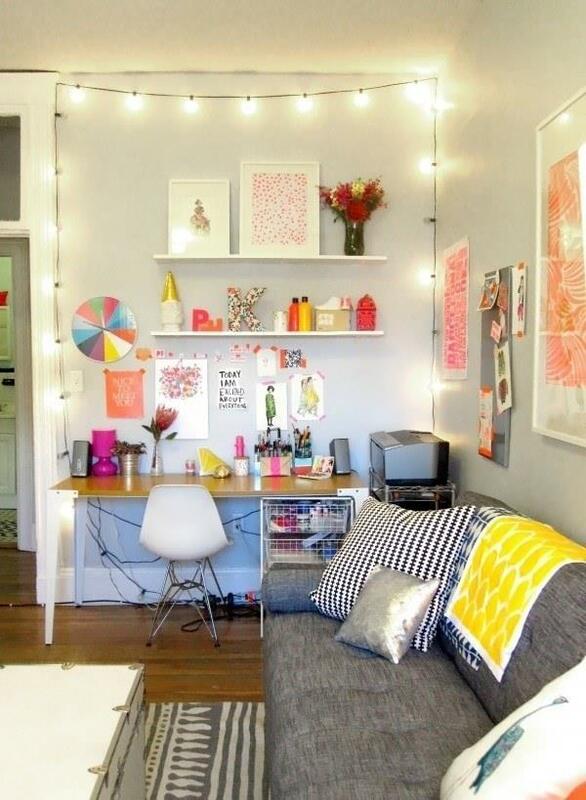 Use a string of globe LED lights to draw attention to an accent wall or just brighten up your home office area. Use several strings of LED lights to create a waterfall of light in your family room. 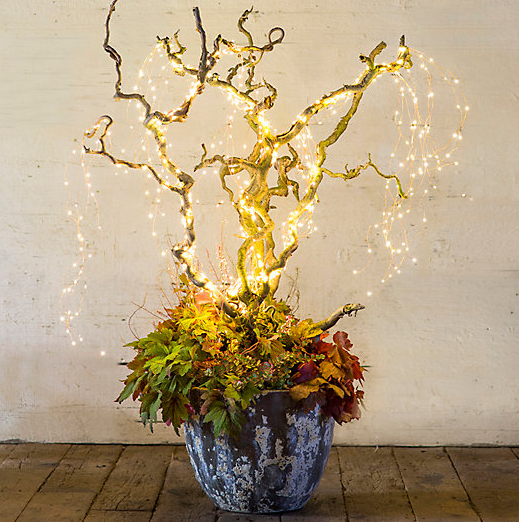 You can just use white lights, or create a more colourful effect by mixing different coloured lights. If you don’t have room to hang your lights vertically simply attach them to the ceiling instead. Use red and green lights to give your room a festive feel, or choose white lights and leave them there all year round! Other than a garland around the handrail of the stairs our hallways can often feel forgotten at Christmas, yet it’s the first thing your guests see when they step through the door. 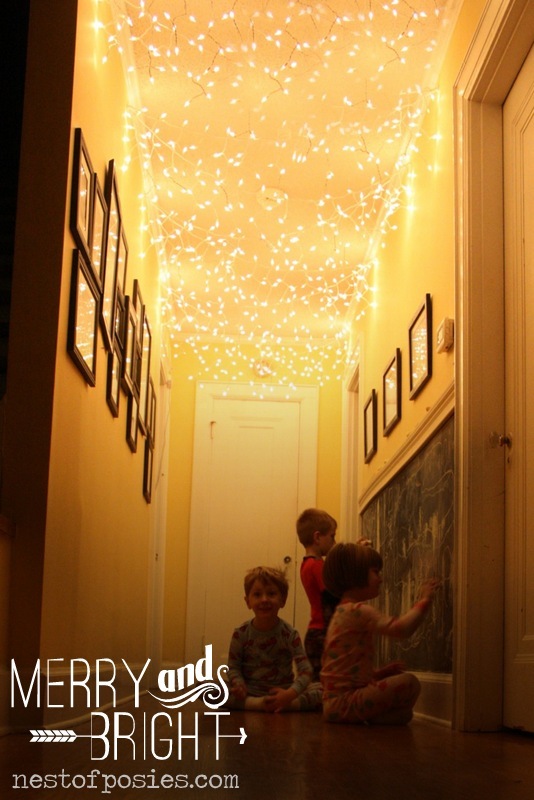 This year add a little twinkle by attaching several strings of lights to the ceiling. 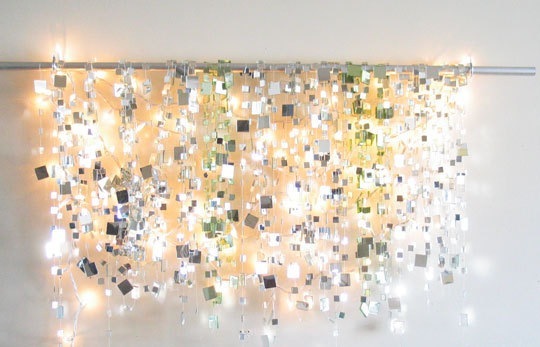 You can also use strings of light attached to the ceiling to create a beautiful light display above your dining table. Large globe lights are perfect for creating a dramatic effect. 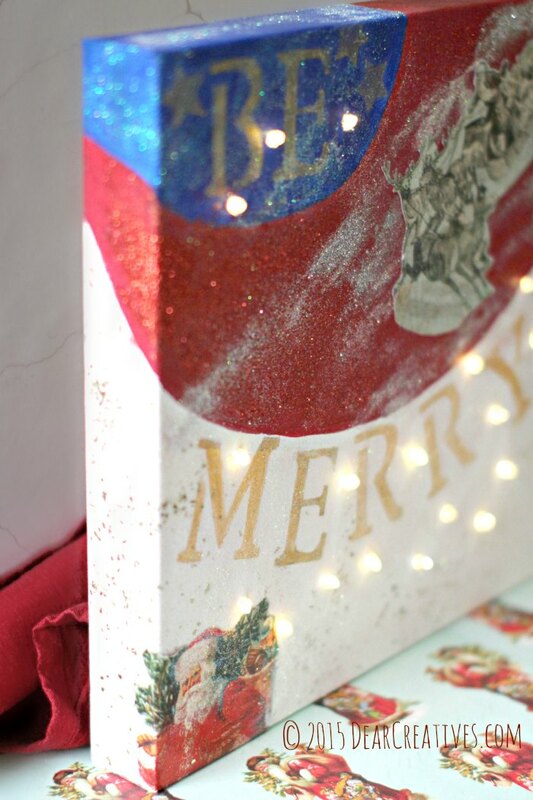 A lighted canvas like this would cost a fortune in a store, but you can make one at home for a fraction of the cost using a canvas and some battery LED lights. Why not make one as a gift for a friend too! 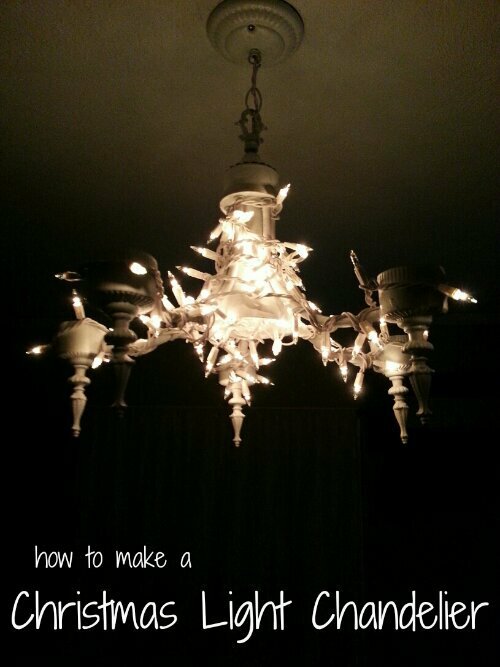 Bring an old chandelier back to life with a string of Christmas tree lights. 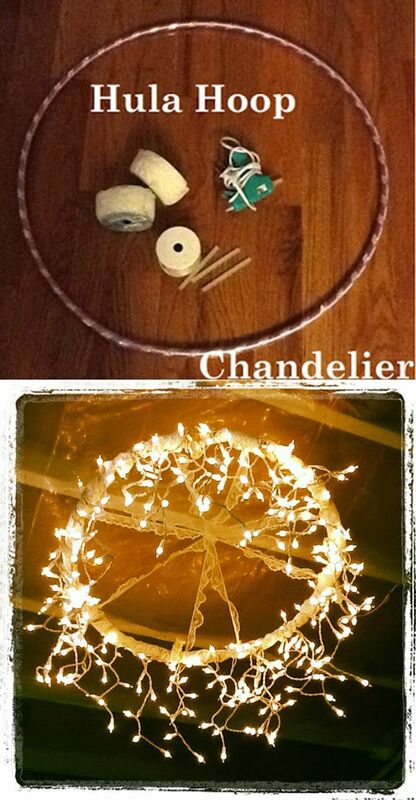 If you don’t happen to have a chandelier available to decorate with string lights you can make an equally beautiful Christmas light display using a Hula Hoop! There you have it: 20 string light decorating ideas so that this year you can make your whole house twinkle and not just your tree! 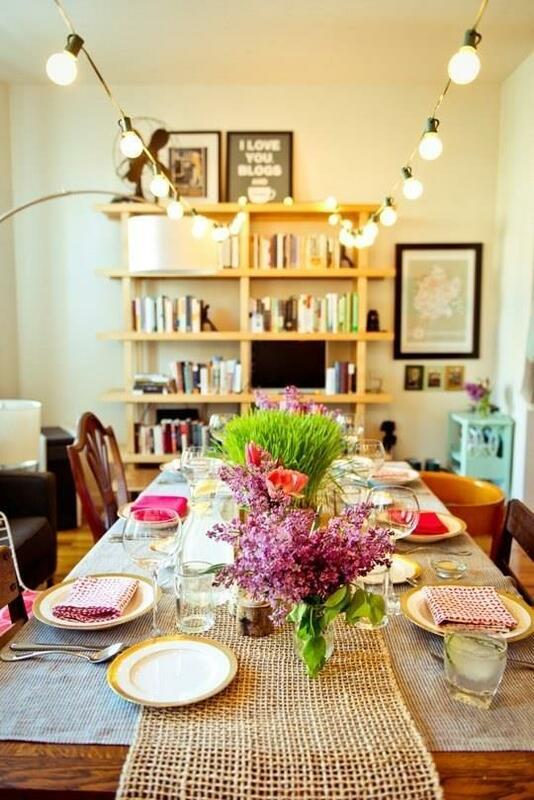 Previous PostPrevious 7 Gorgeous DIY Lazy Susan Ideas that Make the Perfect Table Accessory!